The Giornatta di Cinema Ritrovatto makes crystal clear the irreducible value of form and medium; that it makes a difference to see something on a large screen or a huge screen or a small screen; that sound, both in terms of the score itself and the way that it is conveyed is crucial; that a nitrate print is something to see; that celluloid projection offers different qualities than digital. To not care about texture, hue, intensity, size – what all of these different forms of display bring to the art of cinema is analogous to the claim that you can recolour Van Gogh, print an altered reproduction and claim that it is no different to the original and can replace it in a museum without prejudice. One can see why studios intent on making profit might make those claims but how can museums? How is it permissible for museums and cinémathèques and teachers of film aesthetics and really anyone interested in film as an art to not care about what type of print is projected, how it is projected and on the size of the screen? 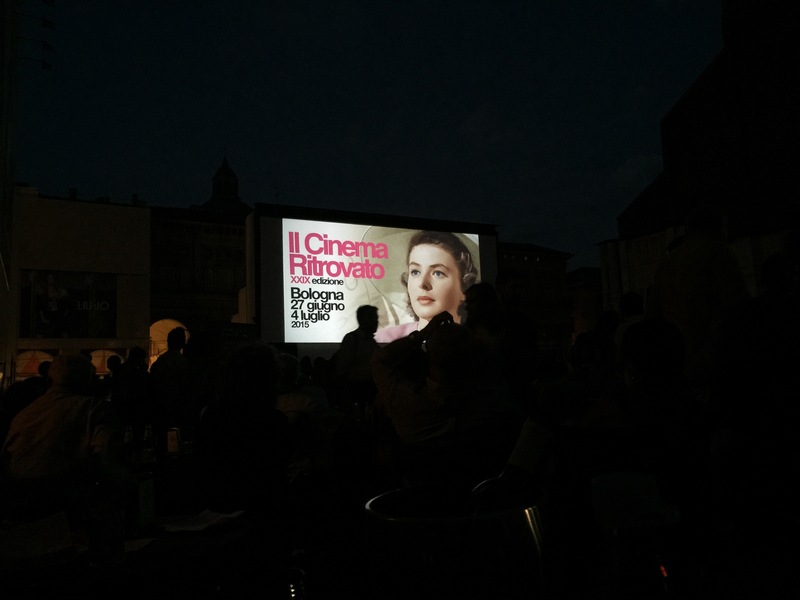 The programming at Il Cinema Ritrovato made the importance of this gloriously clear: So, for example, Cover Girl (Charles Vidor, USA, 1944), according to the catalogue, ‘Three-strip technicolor features 35mm print derived from black and white three strip negatives (all features printed on a nitrate base)’, but digitally projected from a 4k print, looked out of this world, in fact Mark Fuller, a friend who did not like the film, nevertheless admired the gorgeousness of the print, and how because of the print, the colours themselves seemed to sing and dance more vibrantly than anything else in the film (quite something to say when the people in the film look and move as beautifully as Rita Hayworth and Gene Kelly do). In a lovely piece on the festival for Photogenie, Tom Paulis writes of how the print of The Thin Red Line (Terence Malick, USA, 1998) ‘was as unique as they come, a Technicolor dye-transfer copy made as a gift to the director that only very rarely leaves the vaults. The result was a small miracle. The dye-transfer completely transformed the film, especially in the deep saturation of the blacks, making an already high-contrasty film (that Queensland light!) look like Caravaggio’. ‘“Technicolor is like God – it cannot be copied!” Nicola Mazzanti of the Royal Belgian Film Archive is introducing a screening of Douglas Sirk’s perfect melodrama All That Heaven Allows (Douglas Sirk, USA, 1955) and, in an unexpectedly exuberant speech, he promises the crowd in Bologna’s Cinema Arlecchino “a mystical experience”. This is a screening, not from a digital cinema package (DCP) or a re-release, but an original 35mm distribution print – vintage, authentic Technicolor. Mazzanti assures us that there will be scratches (“God, I love scratches!”) and that “if we are really lucky, the film will break, the house lights will come up, and you will be discovered entwined with your girlfriend, or your boyfriend”. Now Mazzarati might be over-fetishising the experience but anyone lucky enough to see a vintage print at the festival will admit that the colours looked and felt different than other restored versions and even other formats. I was lucky enough to see the Spanish Filmoteca’s vintage copy of Fantasia (Walt Disney, USA, 1940), one which we might have been the last people to see, as loss of quality is incurred each time a print is shown; and if colour, hue, luminosity are one of the ways films convey meaning and help evoke particularly experiences, the choice of which version and in which form should be purposeful, and great care should be taken in the projection. And it’s not just about image. 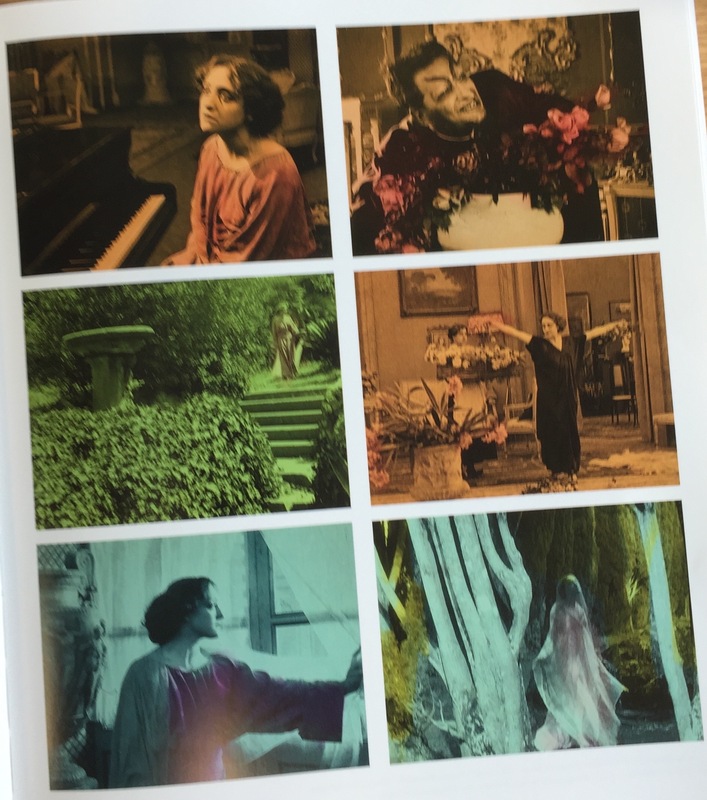 One of the highlights of the festival was the screening of Rapsodia Satanica (Italy 1914-17) at The Teatro Comunale di Bologna, in its original nitrate print, but with the Pietro Mascagni score beautifully restored so that it was was once more perfectly timed to every gesture, every eye-movement, so that everything the music originally expressed was once more revealed by Timothy Brock conducting a full orchestra at the Teatro Comunale. 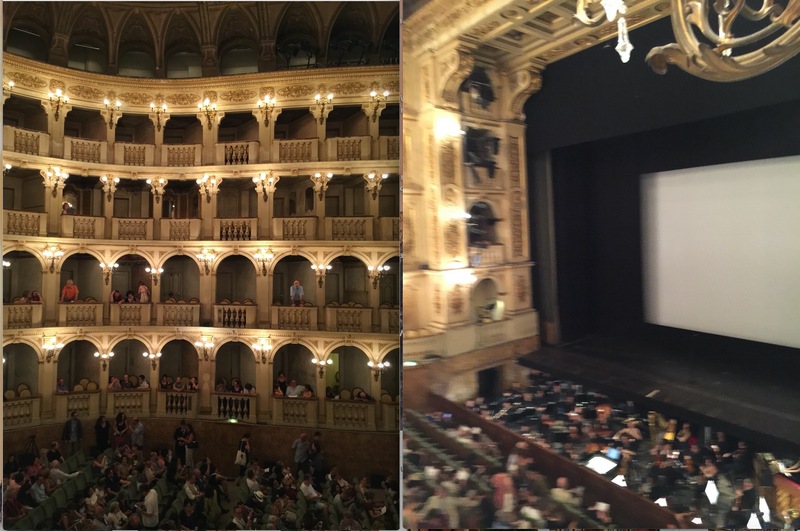 The beauty of the hand-tinted colours, the visual values revealed by the nitrate print, the drama on-screen once more synchronised to the music, this time conveyed with the fullness only a full orchestra is capable of and in the glorious surroundings of the Teatro Comunale: one can only say, wow! A sublime experience. One thinks the battle for film as an art form has been won discursively but one goes to museums and one sees that the repositories of the best of our culture are not practicing what they preach. Films are often shown on a terrible youtube-like loop. Every piddly Warhol piss painting is treated like an elgin marble; every great treasure of cinema treated like used-up can of coke. It’s time museums and indeed every official repository of culture imitate the practices of the Cinema Ritrovatto in relation to film.